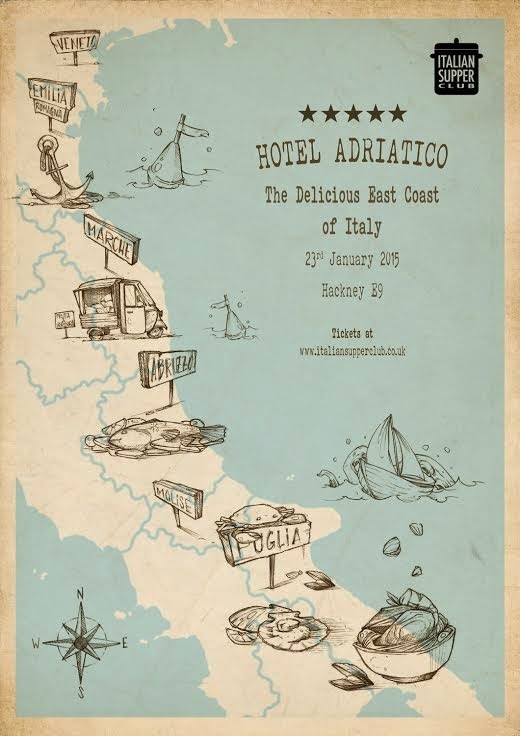 The Italian Supper Club is back with another dinner at their base in Hackney, E9, this time paying homage to the Adriatic East coast of Italy. Tickets are just £35 - full details below. "We decided to pay homage to the great variety of flavours from the Italian regions on the east coast. From the Venetian coast via the Riviera Romagnola and Arbuzzo, down to the hot Puglia."